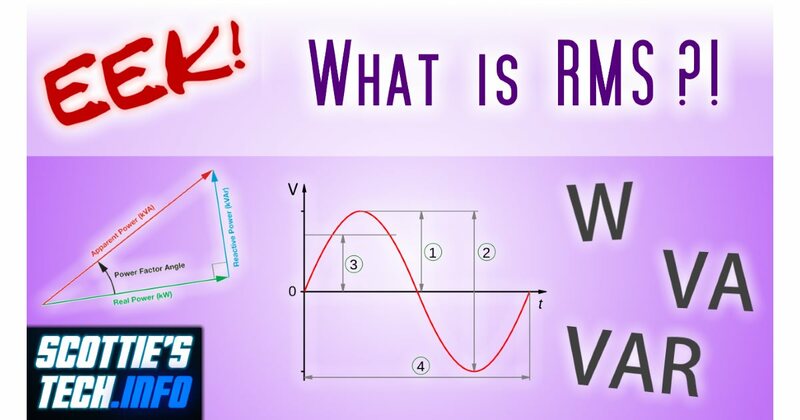 The long version involves a (simplified) explanation of AC power involving Watts, Volt-Amperes, and Power Factor. But not to worry: At the end of the day, you can safely use P = V x I with AC, and you’ll still end up with a result that’s close enough for horseshoes! 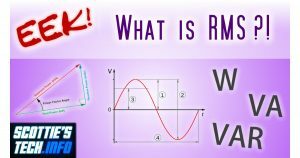 Keep in mind that while P = Vrms x Irms is apparent power, you can still calculate real power using P = Vrms x Irms x cos ϕ, where ϕ is the phase angle between the current and voltage – and cos ϕ is just the power factor. The usual problem with this approach is that very few gizmos will have a label or documentation specifying the power factor! So, you can guess, or you can just do P = Vrms x Irms, get apparent power, and you’ll be close enough. Finally, note that if you have two apparent power values for 2 different gizmos, you cannot just add those two apparent powers together – unless they have the exact same power factor. At the bottom of the swing the pendulum velocity is highest but the force of gravity is perpendicular to the motion so is not affecting the velocity at that instant. There is maximum kinetic energy but minimum potential energy at the bottom of the swing. As the pendulum approaches the top of its swing, gravity opposes and slows the motion so kinetic energy is declining and potential energy is increasing. At the top of the swing the pendulum is momentarily stopped so it has maximum potential energy and minimum kinetic energy. As it begins to fall, the potential energy is decreasing and the kinetic energy is increasing.